We’ve published an intranet governance checklist! 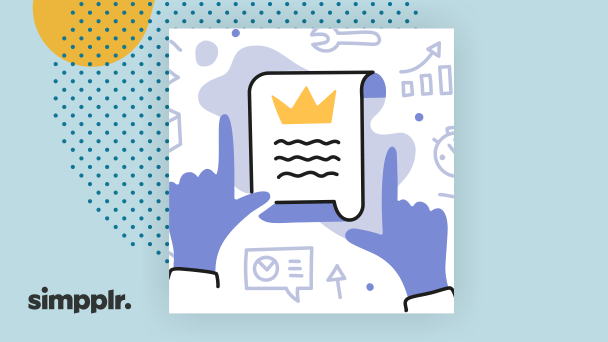 We’ve reiterated the importance of governance in our Governance blog series and shared strategies to successfully align your goals. 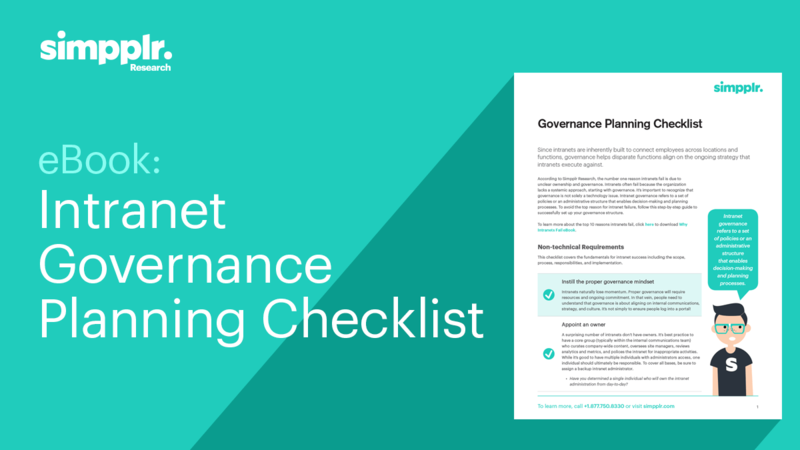 To put all of this in practice, we decided to publish an intranet governance checklist that will help you set up a governance framework successfully. According to Simpplr Research, the number one reason intranets fail is due to unclear ownership and governance. Since intranets are inherently built to connect employees across locations and functions, proper governance helps disparate functions align on the ongoing strategy that intranets execute against. Governance is critical if you want to launch and maintain a successful intranet. Download our Intranet Governance Checklist to successfully set up your governance structure.